Home Lifestyle	Need a fun Father’s Day gift? Check out Cooper & Kid! Need a fun Father’s Day gift? Check out Cooper & Kid! This week I am particularly thankful for my husband and father of our two sons. We had a great weekend away at the beach and on the last day, he got a nasty stomach bug. We thought it was food poisoning until the next day, when me and both boys all got it within hours of each other! Super dad came to the rescue changing sheets and getting water and soup, doing laundry and giving snuggles. We needed him and he was there for us. Parenting has its ups and downs for sure, but I think most of us can agree the moments that stand out are the ones when the family comes together as a team and takes care of each other. If you are looking for a fun way to celebrate a Dad in your life and help create fun memories, read on. 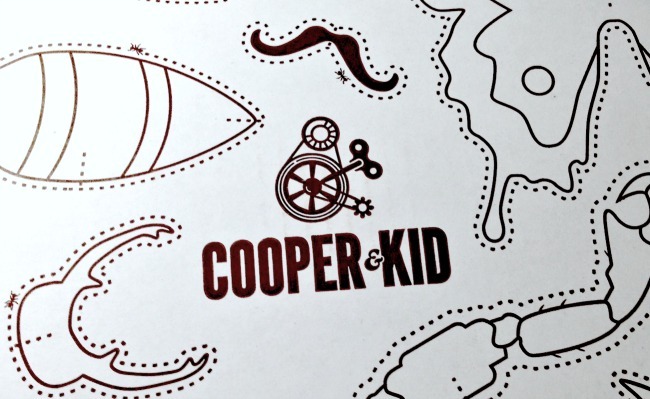 Cooper & Kid is a really fun subscription box full of activities for Dads with children ages 5-9. I’ve seen many ideas like this for moms or geared toward crafting so when I was asked to review a Cooper & Kid box, saying yes was a no brainer. Everything that comes in the box is interesting and good quality. Plus Cooper & Kid even uses the box as part of the fun so waste is minimal. 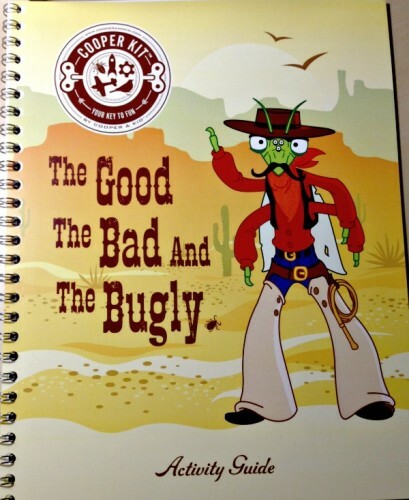 Our trial box was aptly named, The Good The Bad and The Bugly. Upon opening, we found a quality spiral bound activity guide full of fun ideas to do with the contents of the box. 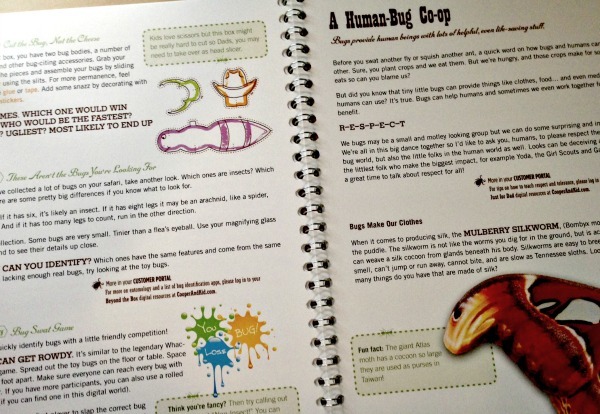 Our kit included a children’s book, a bug barn to build together, edible larva (ack! ), bug toys, fly swatters and various other items. In my welcome email, I was delighted to learn that with each box, a list of “beyond the box” activities is offered for both kids and dads who want to dig a little deeper into their activities. Since our kit was all about bugs, this month’s list consisted of resources for bug books, articles, and videos galore! In the “Just for Dads” section there was even a link to a very unfortunate cockroach incident, which I can promise you I didn’t watch. It is just for dads after all and I’d like to keep it that way. Cooper Kits are a subscription based service with quarterly deliveries. You can sign up for one box at a time or pay for an annual subscription, which saves a little bit on each box. According to Cooper & Kid, each kit is valued at approximately $100. The price point seemed a bit high to me at $65 per box plus shipping and handling for the quarterly rate. But once we got the kit and I saw the quality of the items inside, I could see us doing it again if we thought the boys were really into it. One way to save is with the Cooper & Kid referral program! If you refer a friend, you get $30 off your next box and they get $10 off their first order. Not too shabby! Plus, if you order a kit before June 15, 2014, you will also get a free grooming kit (a $65 value). Overall, I thought this was a really unique kit compared to some of the other subscription services I’ve seen. I think it would make a fun Father’s Day Gift and provide lots of memories for both dad and kids! Disclosure: I received the above product in exchange for my thoughts and promotion. All opinions are my own.